This is called the stupid plumber’s trick. Don’t do it! If you have a problem with scale gunking up the valve and restricting flow, then fix that problem by installing a water sediment filter! Removing the protective inlet screen just creates bigger and much more expensive problems. 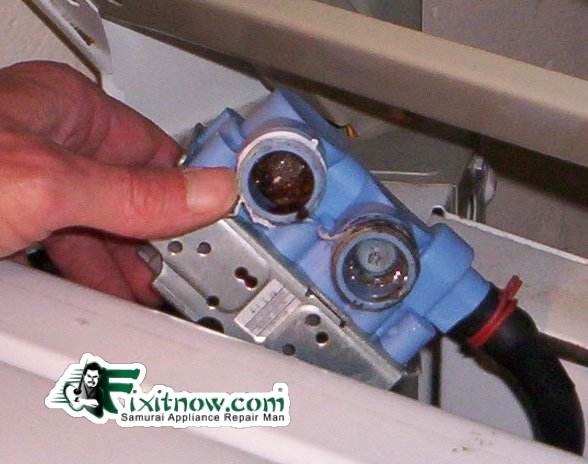 This entry was posted in Washer Repair on May 28, 2009 by Samurai Appliance Repair Man.